This St. Louis Cardinals inspired baby cap is made from red yarn and is perfect for anytime with it's cardinal face and braids! Not a Cardinal team fan. That's okay. It's great for bird lovers too! It's perfect for those baseball pictures or a first trip to a game when it's still a little chilly! It would make a great photo prop for pictures anytime! This hat can be made in any of the sizes offered. Please hand wash this hat and lay it flat to dry. If you have two or three little boys or girls these would look adorable for a photo prop for your Christmas card! 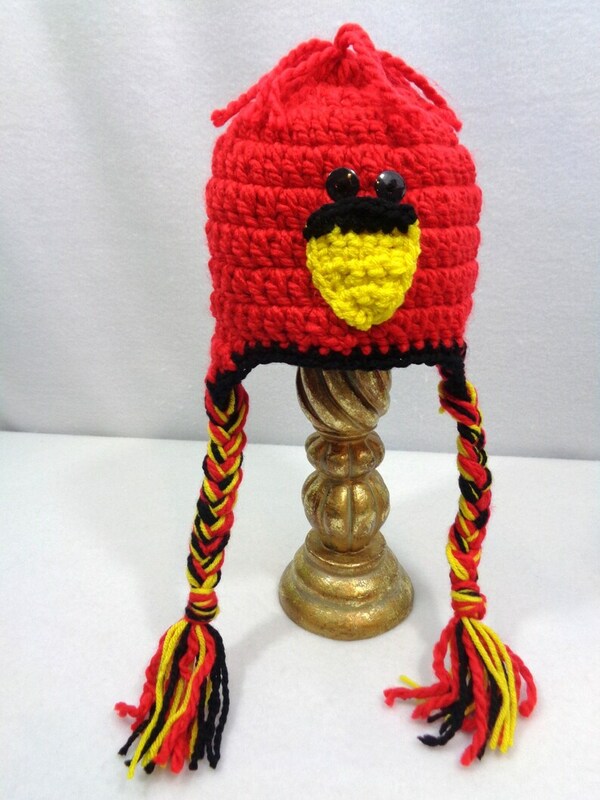 This hat was inspired by my favorite team, The St. Louis Cardinals. If you prefer I can make the hat any other color that you would like to support your team. What a great shower gift this would make for a co-worker or friend. Or you know someone having a baby who loves baseball. This is for them! Your hat will be made and shipped approximately 2 to 3 days after your order is complete.